Music makes the perfect gift for family and friends, and Cyber Monday through December 25 you can save 20% on tickets to VocalEssence Season Concerts that will make hearts merry well after the holiday season; just use discount code WELCOME1516 at checkout. You can also provide loved ones with the joyful sounds of our latest CD, Nordic Nativity, or share the gift of music in honor of someone special and sponsor a seat for a student attending our WITNESS Young People’s Concerts. Gifts from VocalEssence engage, inspire and entertain through the holidays and beyond. Check out the offers below for sound giving! 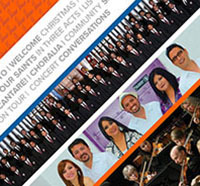 From the swinging sounds of Welcome Christmas to the choral hits countdown of Listeners’ Choice LIVE, our Season Concerts offer something for everyone on your list. Use discount code WELCOME1516 at checkout to save 20%. 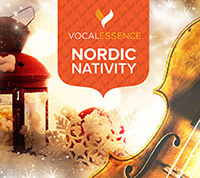 The perfect soundtrack for holiday gatherings, our newest release features the VocalEssence Chorus & Ensemble Singers performing traditional holiday music from Norway, Sweden, Finland and Denmark, with Nordic fiddle music performed by Sara Pajunen. This year 5,418 students are slated to attend our WITNESS Young People’s Concerts to see VocalEssence and the Morehouse College Glee Club on stage. 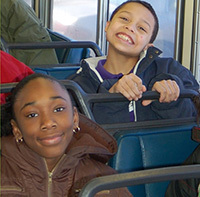 Sponsor a seat in honor of someone and give what one student described as “an amazing experience.” VocalEssence will send the honoree a personalized card describing the gift. Remember, you can help VocalEssence when you do your holiday shopping at AmazonSmile! 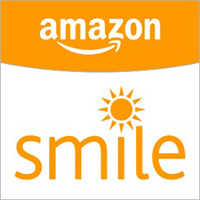 Amazon will donate 0.5% of the price of your eligible AmazonSmile purchases to VocalEssence whenever you shop on AmazonSmile.